As the month of October (my blog’s anniversary-month by the way! ), we all look forward to a race-packed November (as if October was not the same!) and most of all, most of us also look forward to participating in the third and last leg of the RunRio Trilogy – the Run United 3 race on November 13. Majority of you probably made sure to register for this early as slots in the past races tend to get filled-up even before the registration deadline. Now for those of you who are still unregistered and who happen to be reading this blog, here is a treat from me (courtesy of RunRio – their blog anniversary gift to me too! ), to you! Answer the question: WHAT IS YOUR IDEA OF A PERFECT FAMILY-FRIENDLY RACE? WHY? Post your entry as a comment to this post. In your entry, please do not forget to include your full name and email address. All entries will NOT be published until after the contest period. 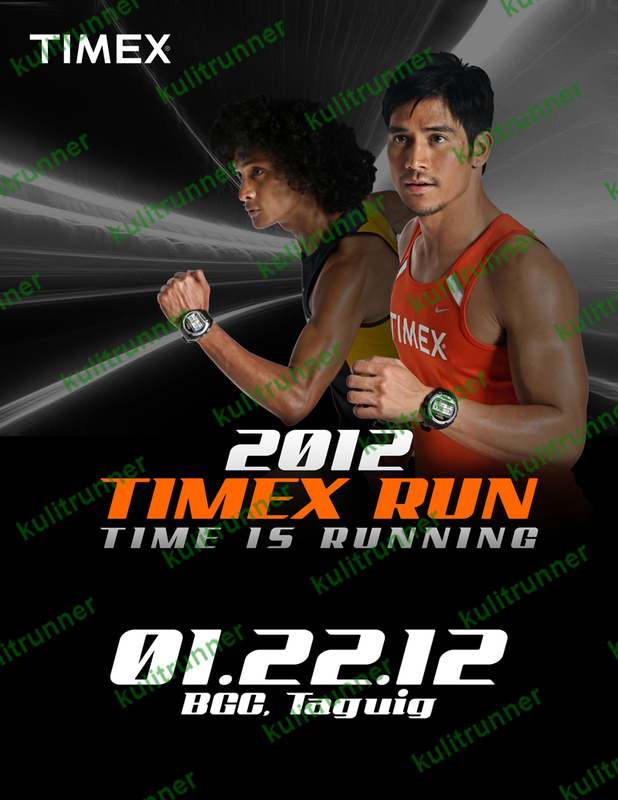 All entries made after 10:00 PM of November 2, 2011 cut-off will not be included in the raffle. Contest ends November 2, 2011 at 10:00 PM. 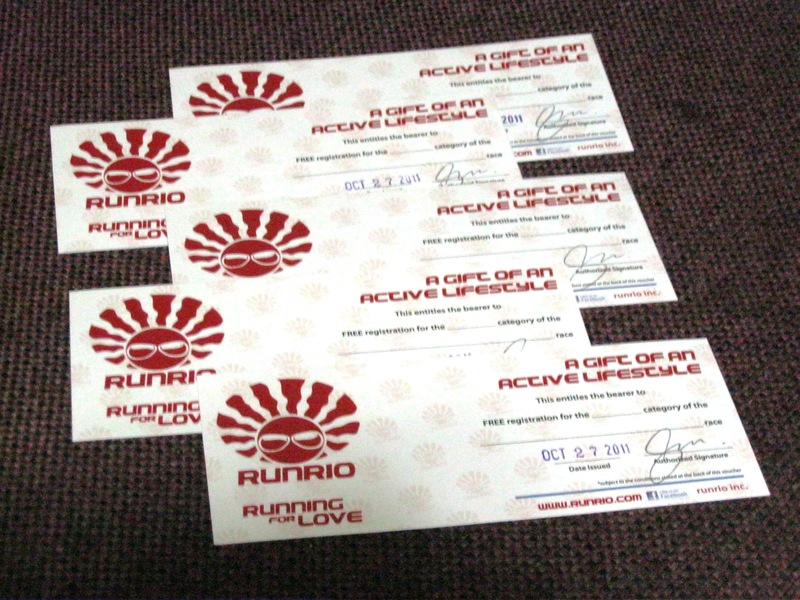 Five winners will be chosen with each one winning one (1) RunRio Gift Voucher. Winners will be notified via email on how to will claim their prize so it is important that you indicate your email address. Level 1 Shangri-La Plaza Mall, Edsa cor. Shaw Blv., Ortigas Center. Bldg. B3, Bonifacio High Street, Bonifacio Global City, Taguig City. G/F Entertainment Mall, SM Mall of Asia, Pasay City. A Valid ID must be presented upon registration. For group registration, a photocopy of any valid ID must be presented by the representative. since long hair naman ako at konting powder lang ok na. Ill have my chance to run barefoot here since wala naman sapatos si sadako. swak na swak sa costume. I’ll ask my brother to go with me and suit up with a tv costume. so habang tumatakbo ako. hinahabol din ako ng tv sa likod..
Congratulations, edongski, kristine and rizza! To claim your prize, you will receive an email from me which you will need to print and present to the adobo Run After Dark registration table at the ROX in Bonifacio High Street by tomorrow (Friday), October 28. Please do not forget to bring a copy of your valid ID also. 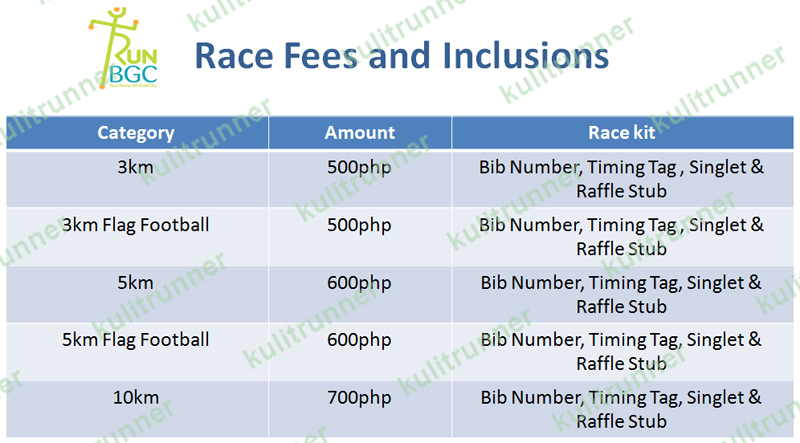 *NOTE: Race Kits are not yet available upon registration. 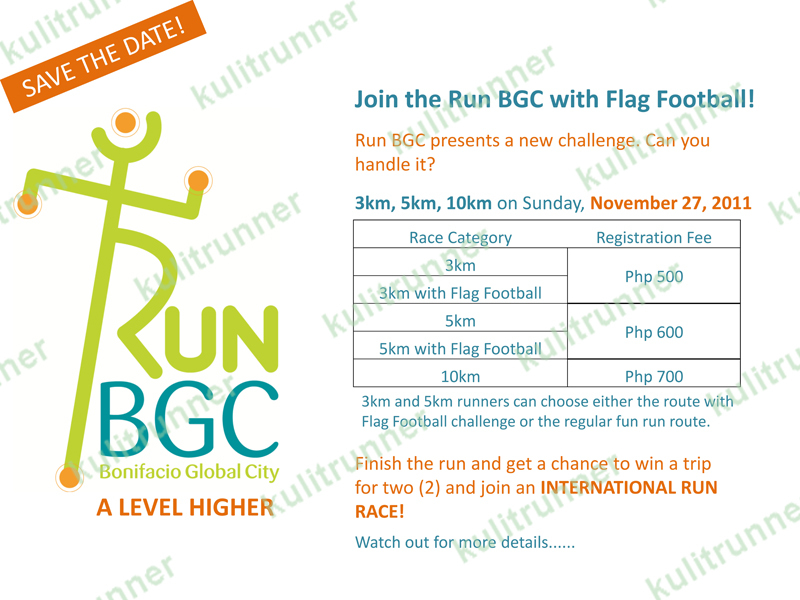 A Race Pack Collection activity is scheduled from November 23 to 25 for the release of the BGC race pack/kit. Location will be at Bonifacio High Street. More details will be made available soon! 2. A Valid ID must be presented upon registration. For group registration, a photocopy of any valid ID must be presented by the representative. 3. 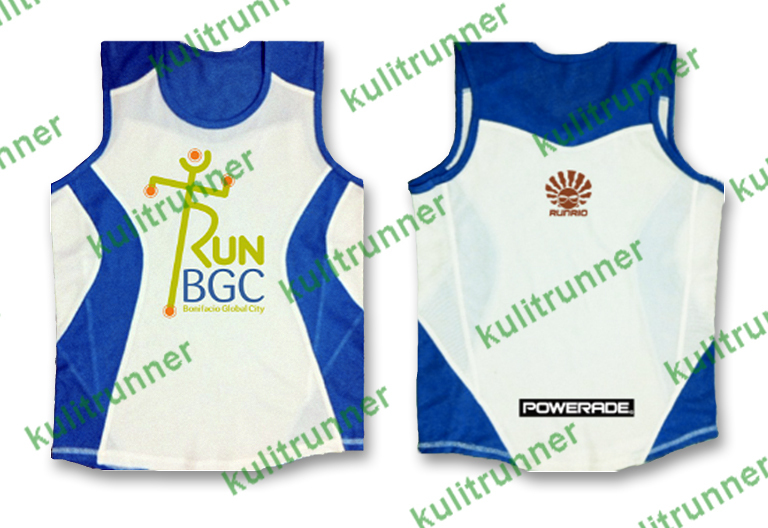 Singlet size availability will be on a first come first serve basis. 4. A timing device will be used by all participants during the race. 5. Exchanges shall be accommodated on the last day of race pack collection starting 3pm; it will be on a first come first serve basis. 6. Uncollected race kits after the race day shall be forfeited. Full details will be available soon! 1. Race results will always be OFFICIALLY RELEASED by the Race Owners or Race Organizers first before any other entities. If somebody other than the two (race owner, race organizer) releases results way ahead of these two, more often than not, it is an empty post promising that race results will really be “available once it is released” OR there may be a link or downloadable results available but are unofficial. Isn’t it irritating to land on a page like this? 2. Blogging is not only about gathering hits. Blogging is a passion of sharing what you have experienced, your thoughts, your learnings and information you have fairly and justly gathered or provided to you by a reliable source. Once a blogger gets interested in gathering hits more than being able to be a positive influencer in the community, be wary because these kind will only use runners as proof of their so-called “reach” in order to make money out of blogging. There are other blogs though that really do earn but runners are enjoined to scrutinize those who are really credible running bloggers (they really are runners to begin with!) or those who pose as one (can’t even run a decent 3km). 3. Bloggers should be able to share credible information, promote goodwill, sportsmanship among runners and respect with one another. When one just let everyone act as if they are free to turn the running community to be a marketplace then why is he/she blogging in the first place? Once a blog is opened to the public, it entails great responsibility. Therefore, blogs should be POSITIVE INFLUENCERS, one who promotes good values, help educate/re-educate its visitors/readers. These are perfectionist statements as it may seem but if all of us just first begin to respect one another and avoid resorting to dirty tactics, the running community will be a better place to linger in and running as a sport will not be considered as the “new badminton”. 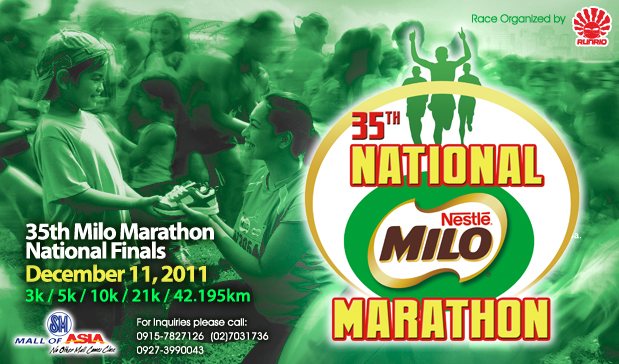 Of adobo, Halloween Night Run in Costume and FREE Race Kits! A good number of my chums will be running the 5km race in costume. Me and hubby will too, but haven’t gotten to deciding which costume to don in! But nevertheless, with or without a costume, everyone is welcome to take part in this Halloween Night Run. And because I want everyone to have a chance to experience this one of a kind race happening on the 29th of October at the Aseana Business Center, and because I just remembered that this month is my blog’s anniversary, I will be giving-away THREE (3) ADOBO RUN AFTER DARK RACE KITS (race category of your choice!)! So how do we go about it? 1. Post as a comment your answer to the question: “If you will be given a chance to run in the ADOBO RUN AFTER DARK race, what do you think will a good costume be and why?”. 2. In the spirit of fairness, I will be accepting only ONE ENTRY PER PERSON. 3. There will be no wrong answers but the TOP THREE creative answers, which will be voted upon by THREE JUDGES (me, the adobo Run After Dark Race Director and another blogger) will each get to WIN a FREE RACE KIT. 4. This contest will be open from today until midnight of Wednesday, October 26. 5. Winners will be announced on the night of October 27 to enable winners to claim their kits at ROX on October 28.